Sunday was a day for eating, which is nothing out of the ordinary I know, the World over but, of course the Italians do it with Gusto and copious quantities of delicious food. 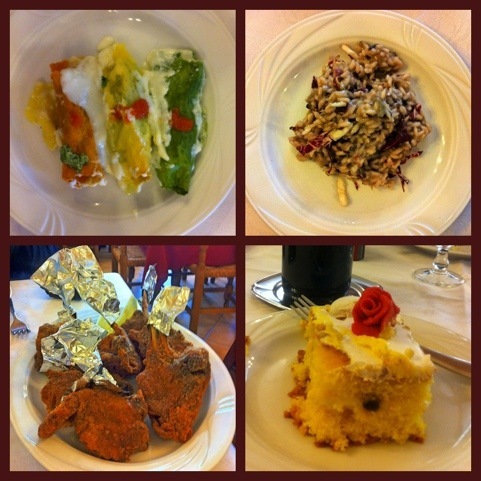 Just 4 of the course we had for lunch: Canneloni Italia, Radicchio Risotto, Cotoletto D’Agnello Fritata and an Anniversary Cake (someone’s 65th wedding anniversary). It was of course washed down with plenty of wine and some celebratory Prosecco. Now it’s time to finish our morning research, as the rain has stopped and I need to digest that lunch before the “special” Sunday dinner!!! Help me, over 2 weeks to go yet. 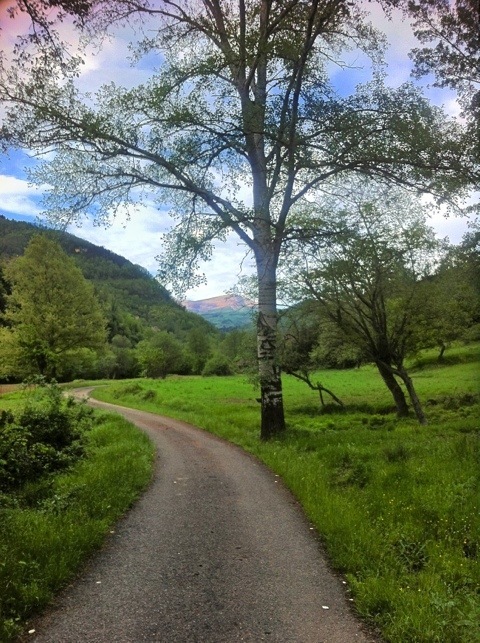 We returned by car in the early evening to find the path to link Ponte Sospeso to the ancient customs bridge “Ponte di Castruccio” a few kilometres further down the River Lima. We were successful and with lunch in mind we decided to walk the full route and return, taking plenty of photos along our way.